In der Nähe der Stadt Mohill (Maothail) verbrachte der Harfenspieler und Komponist Turlough O'Carolan seine letzten Lebensjahre mit seiner Frau und seinen Kindern. Ihm zu Ehren wurde 1986 am Marktplatz eine Statue aufgestellt. 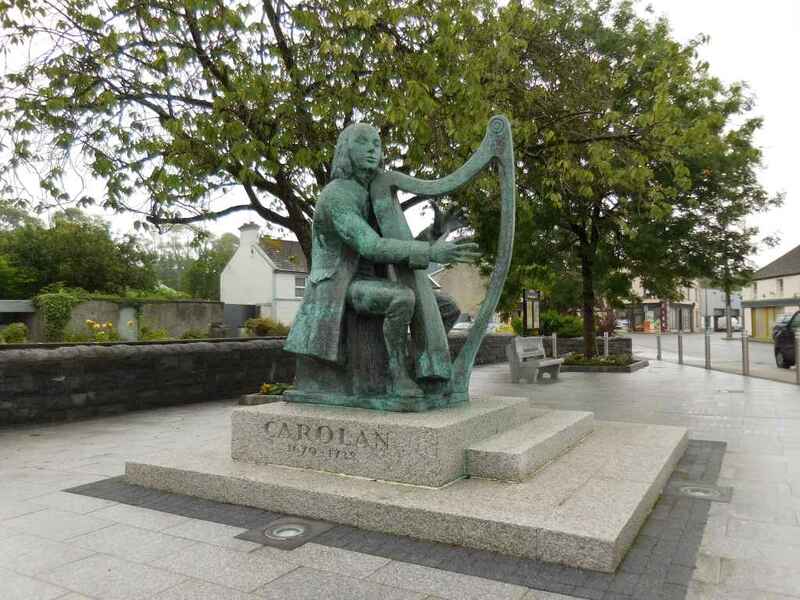 Near the town of Mohill (Maothail) the harp player and composer Turlough O'Carolan spent the last years of his life together with his wife and children. To his honour, in 1986 a statue was erected on the market square.